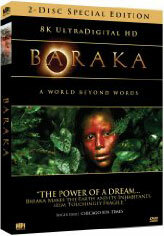 Re-released in 2008, to give Baraka the DVD transfer it deserves. -Prints using soy based inks. -Greatly reduces green house gases.